It takes a lot to impress most people these days, particularly where photography is concerned. It’s simple to fake just about anything, meaning that you can never really trust what you see. 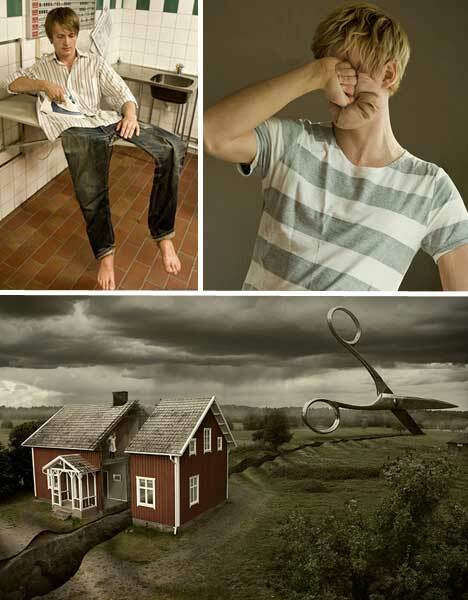 Swedish photographer Eric Johansson doesn’t really want you to believe his photographs; he just wants to make weird pictures that make people smile. 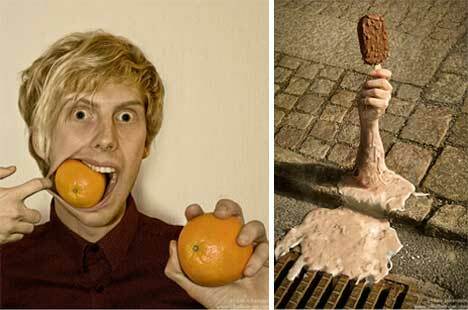 Johansson’s particular form of photo manipulation is so masterful that it would be very easy to believe his pictures are real…if they just weren’t so absurd. 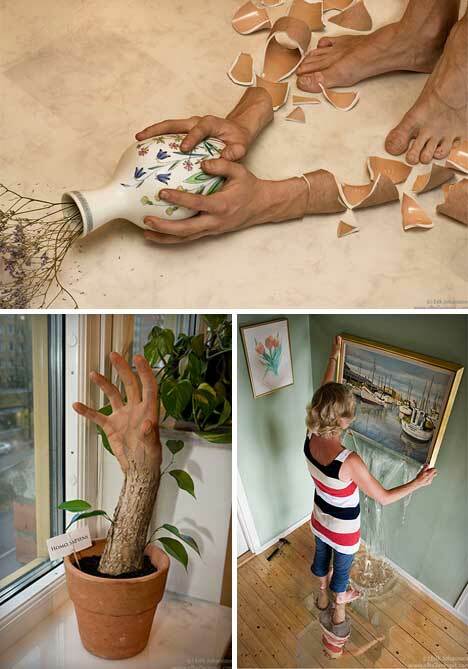 From a man ironing his own body to a human arm growing out of a terra cotta pot, this photographer’s body of work is full of amazing, fantastical images that would never be seen if not for Eric Johansson’s skill in photo manipulation. But the most striking aspect of Johansson’s work is the fact that his pieces manage to look real and impossible at the same time. 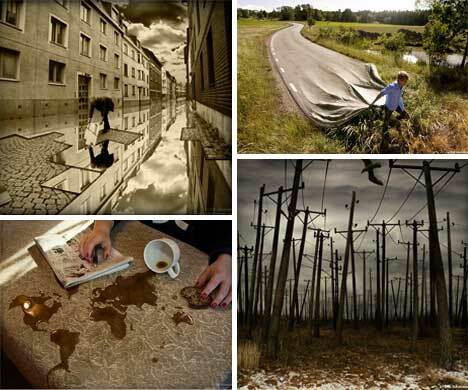 He takes great liberty with reality, but imagination blends seamlessly with actuality in these spectacular manipulations. Amazingly, Johansson’s only been into major photo manipulation since 2007, when he bought his first SLR camera. He now spends about 15-20 hours on each photograph, making them as realistic as possible while incorporating a very serious sense of whimsy. Even with his obvious talent in his specialty, Johansson says he’s still never entirely happy with the way his photographs look…but in his opinion, it’s a healthy amount of doubt. See more in Digital Design or under Technology. March, 2010.